ShareTV® is an online community for fans of network television which is visited by tens of thousands of unique visitors daily. 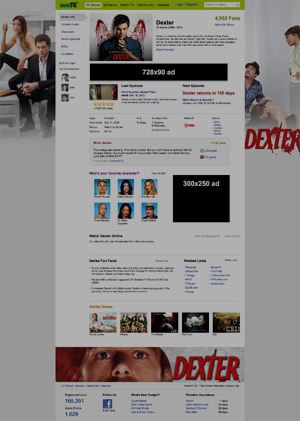 We keep a clean design when it comes to the advertisements shown on the site. 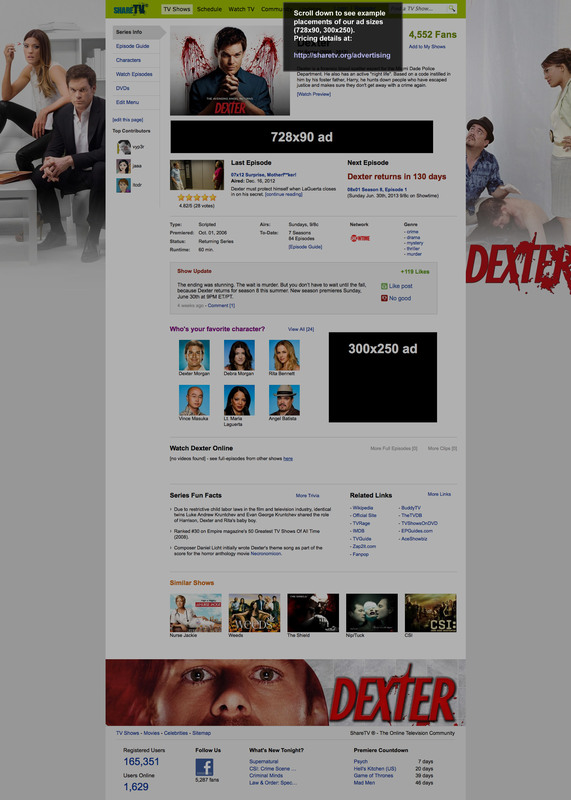 There is a maximum of 2 ad units per page throughout the site and only 1 ad per page on the mobile version.